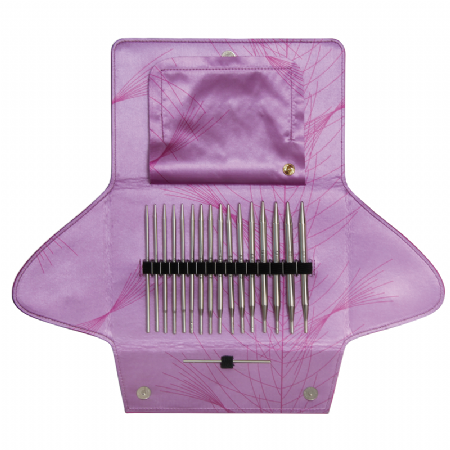 HOT PINK CASE, containing the new ADDI interchangeable lace needle set with longer length tips. If you find a longer needle is more comfortable to hold, then ADDI CLICK LACE LONG is the set for you! Eight pairs of needle tips with three new red SOS lifeline cords, in an exclusive, beautifully lined wallet case. When knitting complicated lace patterns there is nothing more aggravating than losing a stitch or having to correct a mistake, so ADDI have made it easy to insert a lifeline into your knitting to avert disasters. By threading the eye in the cord with a yarn you can place a lifeline easily whenever you like. 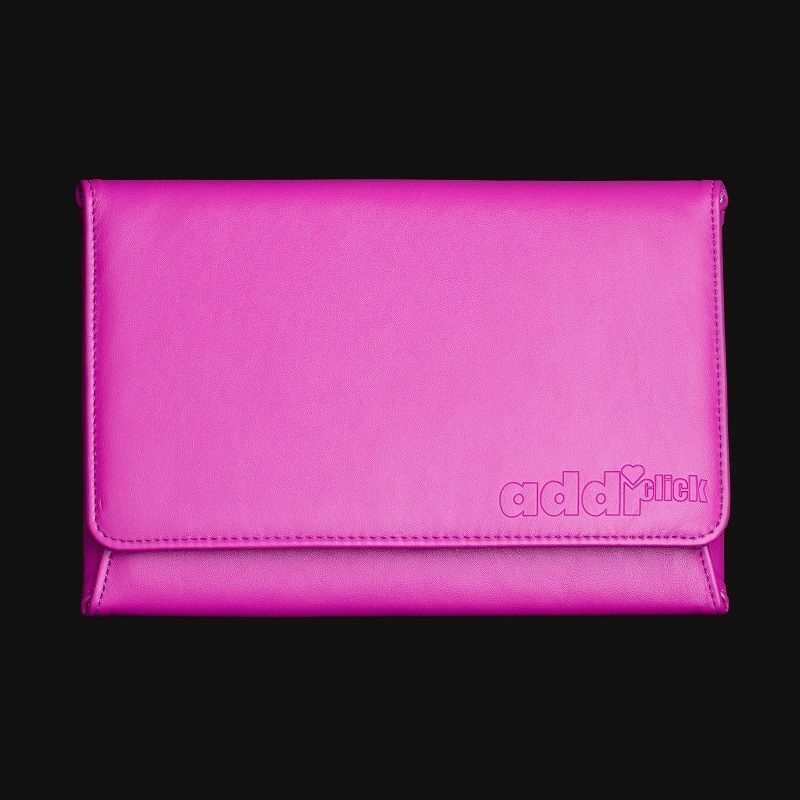 The new design ADDI SOS, with patent pending, means that you can relax and enjoy your lace knitting. 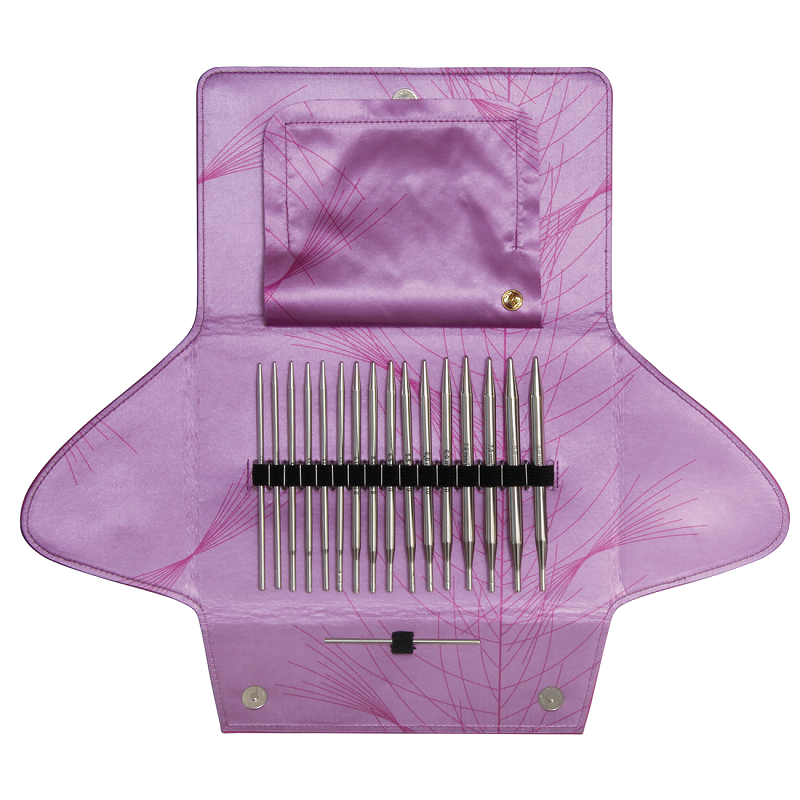 Interchangeable set of fine-tipped ADDI needles, specially for lace knitting - a lovely gift for lovers of lace! This is the ultimate in knitting luxury: top quality nickel-plated needles with fine points. This set allows so many possible variations in knitting needle size and length with a simple push in and twist connection.